Nanorobots And Nanotechnology Bioengineering And Advanced Medical.. Stock Photo, Picture And Royalty Free Image. Image 88130336. 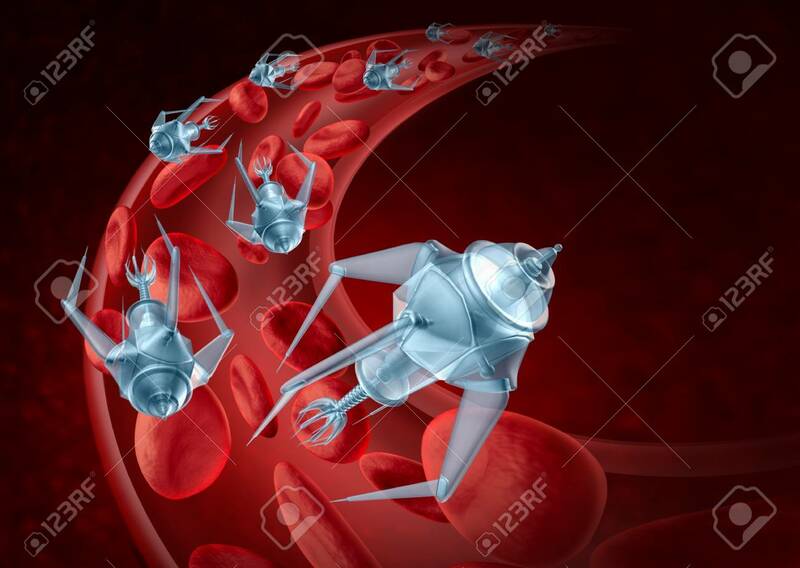 Stock Photo - Nanorobots and nanotechnology bioengineering and advanced medical technology concept as nanomedicine robots inside a human artery flowing inside as a treatment for disease as a 3D render. Nanorobots and nanotechnology bioengineering and advanced medical technology concept as nanomedicine robots inside a human artery flowing inside as a treatment for disease as a 3D render.